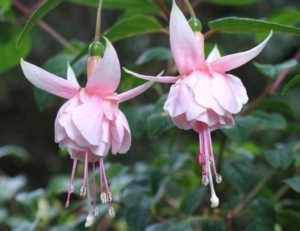 PRUNING & TRAINING – The National Fuchsia Society of New Zealand Inc.
Pruning is carried out after the danger of hard frost is past in the area you live in New Zealand. 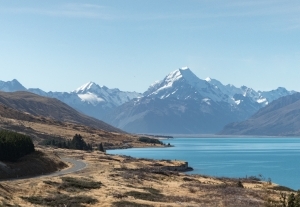 North of the central plateau this could be August-September, whilst in Otago September-October may be suitable to prune plants in the ground. 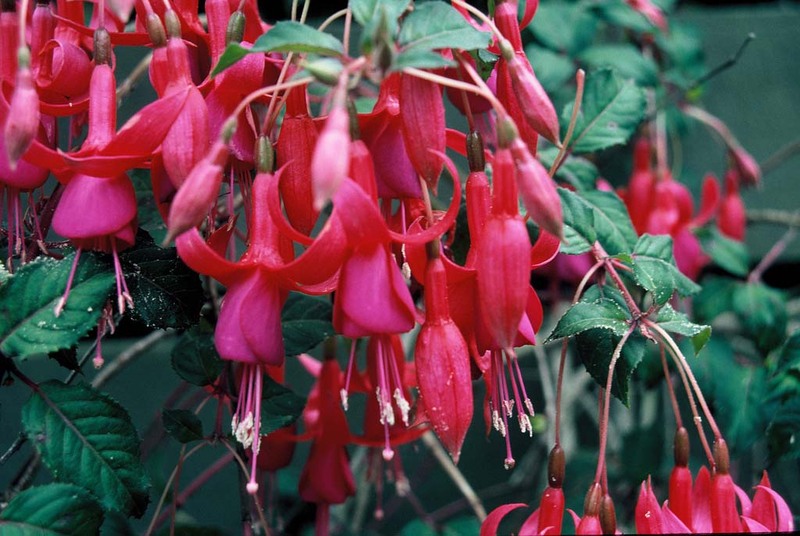 Container grown fuchsias can be pruned earlier providing they are protected from frost and cold winds. Most fuchsias will tolerate some degree of frost, however, triphylla types do not like frost at all. Fuchsias bloom on CURRENT YEAR’S growth. 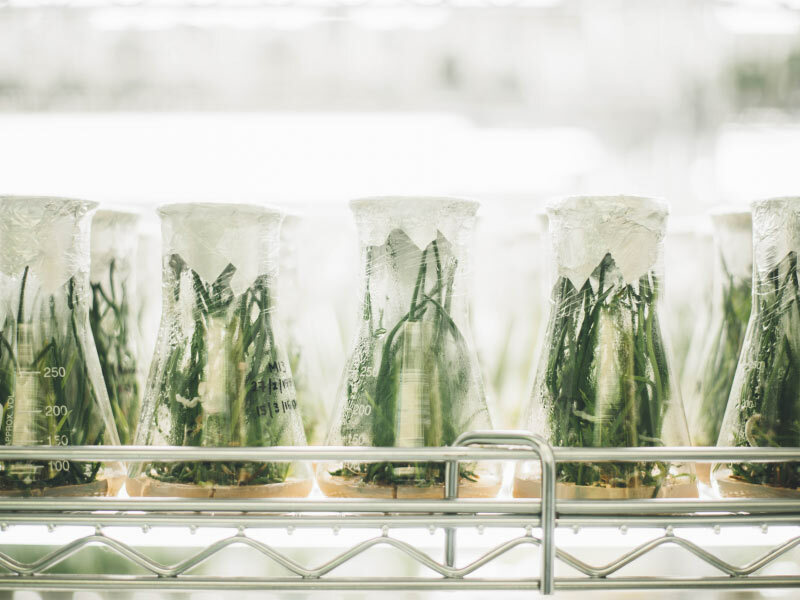 Two thirds to three- quarters of the previous year’s growth must be removed to make room for new growth, to maximise the amount of it and to maintain the shape of the plant. Last year’s wood – usually light brown and smooth. Nodes – the “lumpy” places on stems where leaves were attached. Previous year’s wood – usually grey and rough. 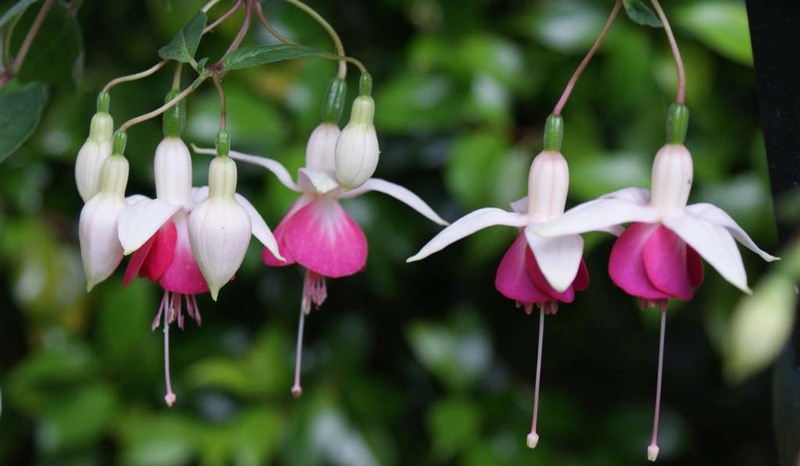 Trailing varieties of fuchsias with naturally soft growth characteris­ tics are easiest to train, g. Cascade, Marinka, Niobe, Swiss Miss. Semi-trailers are also suitable but require more attention. As new growth develops, pinch faithfully to produce lateral branches. Keep the laterals flat and spread evenly, like spokes of a wheel, around the pot, anchoring them with wire hooks if needed. As the laterals grow over the rim, use wire hooks as weights to force the laterals gently downward. Pinching continues to help shape the plant. 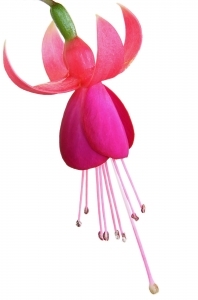 Upright or semi-trailing varieties of fuchsias are suitable. Shrubs usually have two or more shoots at ground level. Bushes have one main trunk, and branching begins several inches above ground level. For a bush, simply cut off all shoots at ground level except one. When that shoot reaches a height of 6 inches, pinch so that side branches will form. Pinch them faithfully to avoid legginess. On older plants, prune out crossing branches. Start with a young plant that has a strong main Plant close to the stake, and tie the leader (main stem) gently against the stake. 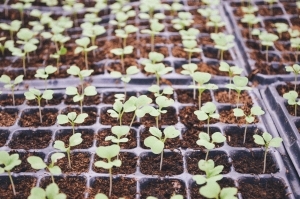 As growth proceeds up the stake, remove all laterals except the top four. As growth continues to remove the bottom laterals always leaving four, but do not remove the leaves. Protect the leading tip at all. When the tip of the leader reaches a point 4 inches below the top of the stake, pinch the tip. The four laterals remaining will make the head. The laterals must be spread and pinched so they form a symmetrical. It usually takes 2 years to train a standard: 1 year for height, 1 year to develop the top.